When we discovered Ashlar-Vellum software in the late ’80’s we knew then that it was the software that industrial designers would understand. It had an intuitive way for visual people to create something without going through a ton of calculations to achieve a tangible result. 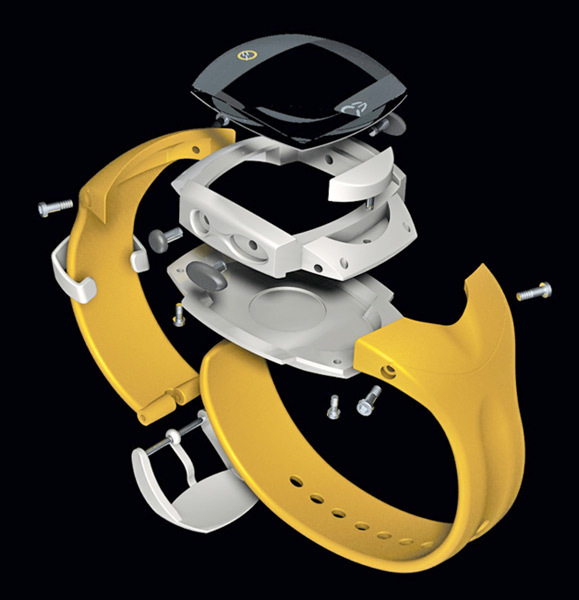 When Luc designs sports products like this heart monitor, he starts with the integrated electronics from his client, including the printed circuit board and LCD display. Then, using Graphite, Luc lays out the components getting the chips, receivers, contact keys and buttons into the best place. “Graphite is a better 2D/3D CAD solution because it is easy to move parts around. You don’t have to be an engineer to run it,” commented Luc. With the layout done in 2D, Luc uses Cobalt to extrude parts for the PCB and LCD in several layers. “With Cobalt 3D modeling software you can just extrude in any direction to get a product shape very quickly. It’s as flexible as modeling clay. Unlike other design software, you don’t have to calculate everything using parametrics, create a detailed assembly and add all the dimensions just to get something to show the client for interim approval.” Luc quickly lights and renders these extrusions and sends them off to the client for concept review. Because Luc’s client is standardized on SolidWorks, he delivers his finished designs in a standard file format that the manufacturing department easily handles from there. Any revisions are sent back into Cobalt without difficulty. See more of the work by Tres Design on their website. 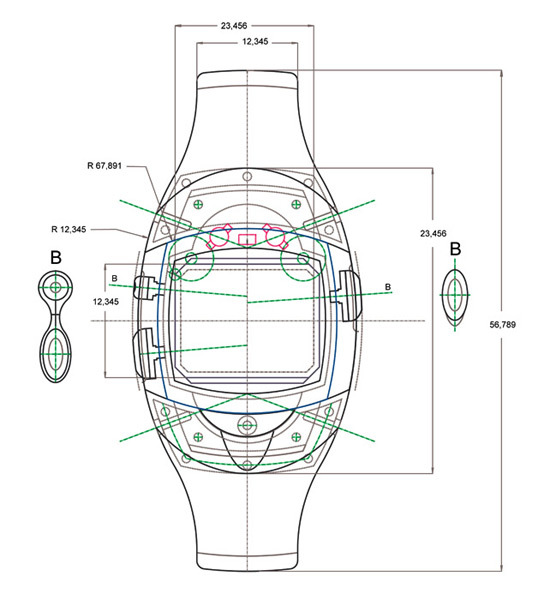 Graphite 2D/3D CAD software is used to determine the best layout for the watch components and communicate with manufacturing in 2D drawings. 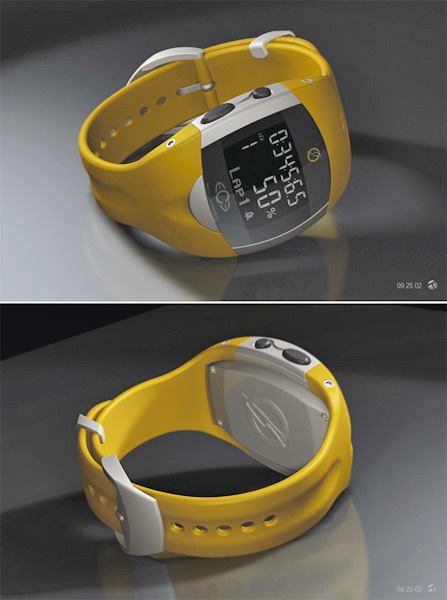 Photo-realistic 3D models have more power to sell design to upper management decision makers.